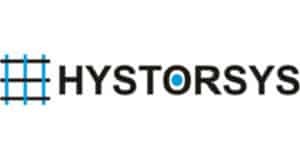 HYSTORSYS is a Norwegian developer and supplier of hydrogen compression systems based on solid state absorption / desorption in metals – metal hydrides (MH). The technology enables compressing hydrogen without any moving parts. HYSTORSYS wishes to establish itself as a leading supplier of thermal hydrogen compressors internationally. No moving parts (except actuators, valves, etc.) provide minimal maintenance requirements, reduced maintenance costs and high availability. Mechanical and electrochemical compressors require supply of costly energy. With our technology, the total energy demand for the compression work can be sourced from free-of-charge thermal energy such as waste/surplus heat with consequent reduced operating costs. Virtually silent operation and no vibration make the systems well-suited for installation in almost any environment. High intrinsic safety. MH-compressors have a lower risk of mixing with oxygen than traditional mechanical solutions as well as the new electrochemical compressors. High purity. Unlike mechanical compressors, that from time to time might contaminate the gas they compress, metal hydrides hold the quality that they rather purify the hydrogen in contact with them. Collaboration with equipment vendors who provide system solutions for on-site hydrogen production to end users. Contact with end users directly, e.g. process industries interested to develop on-site hydrogen production solutions.